Meet cheeping birds, scurrying squirrels, brave bears and all the other forest friends in this fact-filled pre-school activity book. Children can learn how to create pinecone owls, fruits of the forest ice lollies, bear masks, and more, all while learning about forest life - from down on the forest floor, right up to the treetops. This book is great for encouraging little learners to get out and about, and to appreciate the wonders of nature. 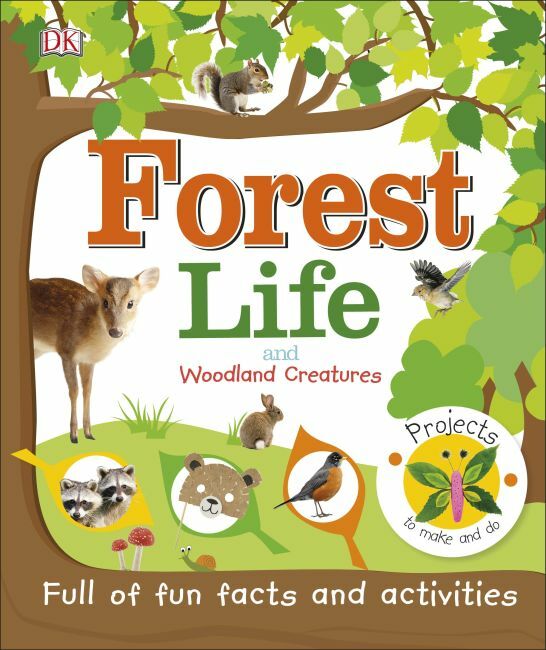 Perfect for supporting your little ones' development, Practical Facts Forest Life and Friendly Woodland Creatures gently introduces curious young minds to scientific themes such as the life cycle of a tree and seasons. Then they can improve their dexterity and memory as they follow the clear text and simple step-by-step photography with each making, counting and cooking activity. Amazing facts go hand-in-hand with things to make and do in this fun and informative book.